A girl was humiliated after she was caught while trying to play a fast one on a lady in Delta state. According to reports, a lady who wanted to withdraw money from the ATM at GT Bank was discouraged due to the long queue as she reportedly gave her ATM card to a girl who is said to be in SS2 - to help her withdraw N10,000. 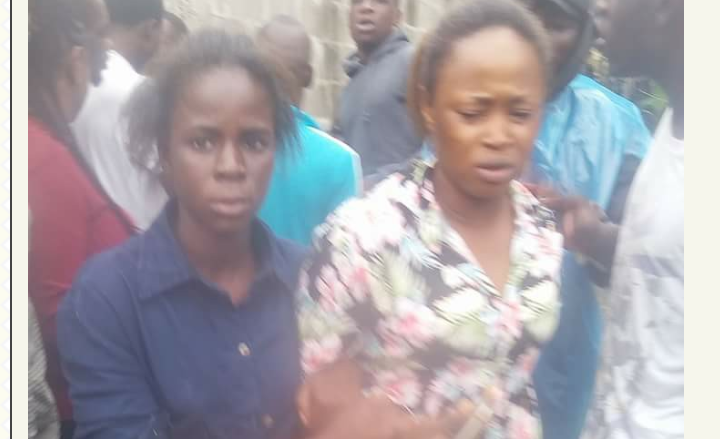 After making the transfer, the girl decided to disappear but was confronted by the owner of the account who chased her with a motorcycle and was shouting 'thief-thief'.